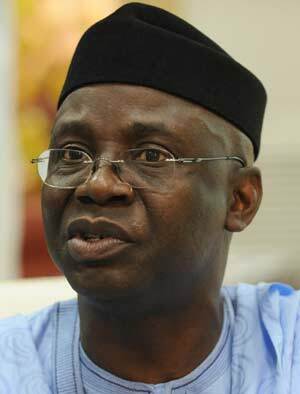 The former running mate of President Muhammadu Buhari in the general election won by former President Goodluck Jonathan, Mr Tunde Bakare, says institutional reforms and constitutional amendments are required if Nigeria must overcome its systemic national challenges. The Convener of the Save Nigeria Group and Pastor of the Latter Rain Assembly proffered these solutions as part of the road-map to a new Nigeria. He was speaking at a public policy forum in Lagos to provide solutions to the present challenges facing Nigeria. Mr Bakare believes Nigeria’s problems are not a product of the global economic cycles, but the consequence of counterproductive national standards and self-limiting frameworks. He stressed that three factors contribute to political stability which include the type of constitution, the form of government and the caliber as well as character of the political leaders in and outside of government. “Integrity is not enough to run a nation, Nigeria must be born again,” he said. The clergyman said that the solution to the present challenges was setting up a Presidential Commission for National Reconciliation, Reintegration and Restructuring that would adopt a new constitution. “This commission should be mandated to work closely with the stakeholders and power-plugs, as well as legislative houses to create a new national identity for the Nigerian people and facilitate the creation of an acceptable functional governmental structure for Nigeria,” he said. Pastor Bakare called for a process of constitutional rebirth that would culminate in a referendum by which Nigerians adopt a new constitution.